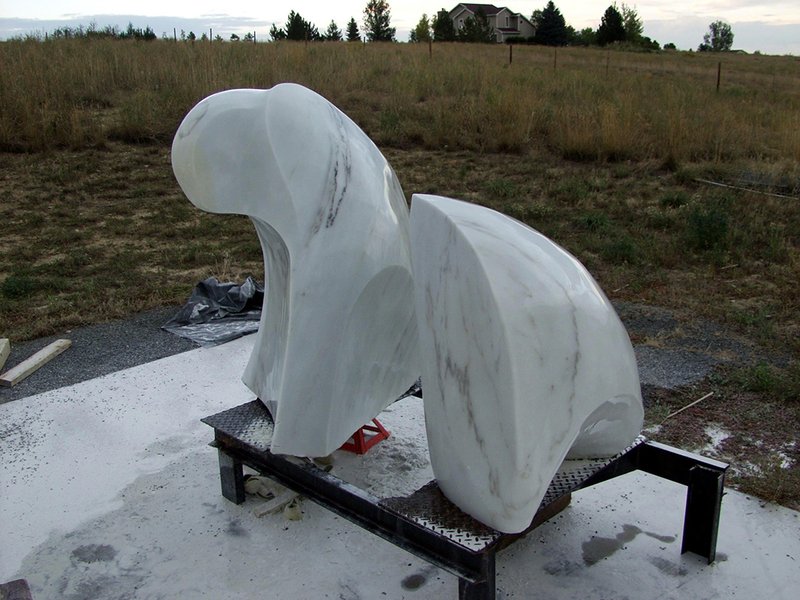 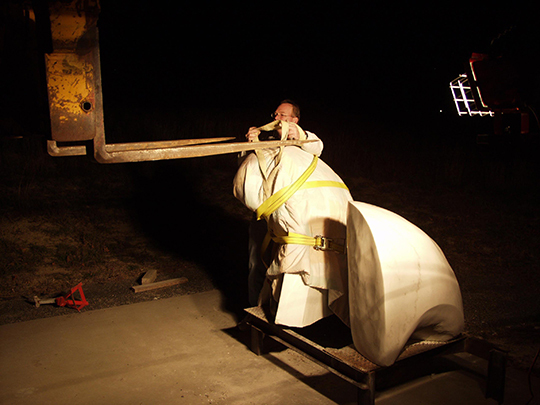 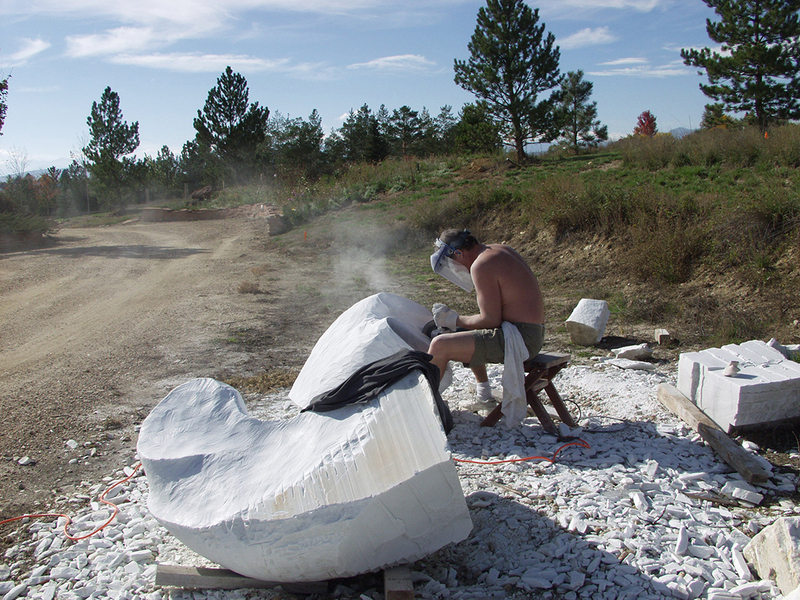 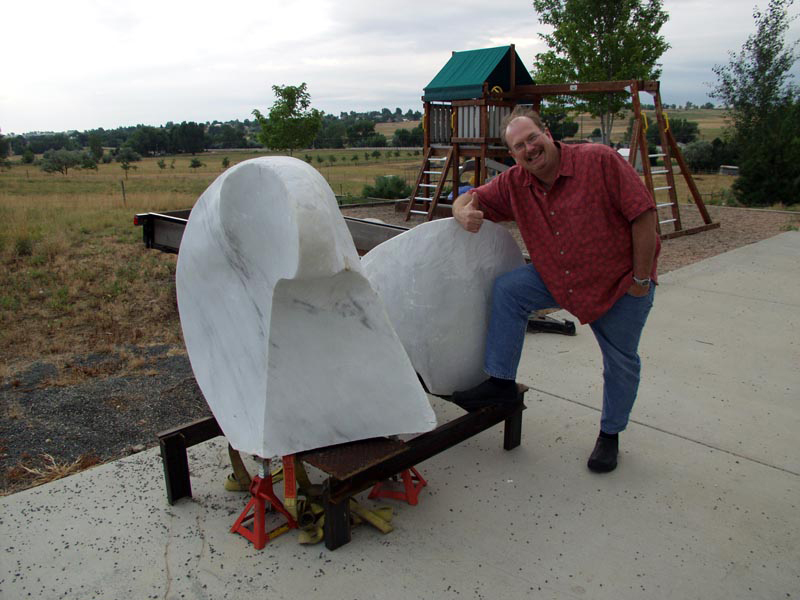 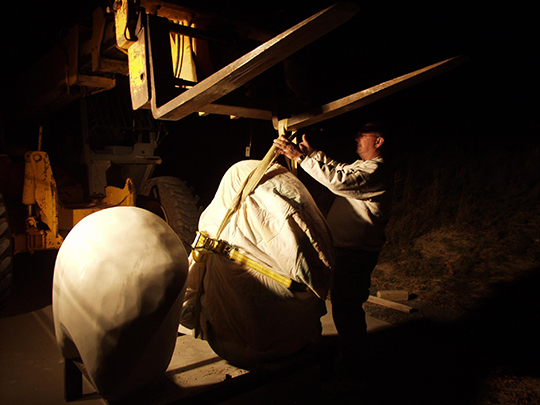 I created this marble sculpture beginning in early 2002, and completing it in October 2005. 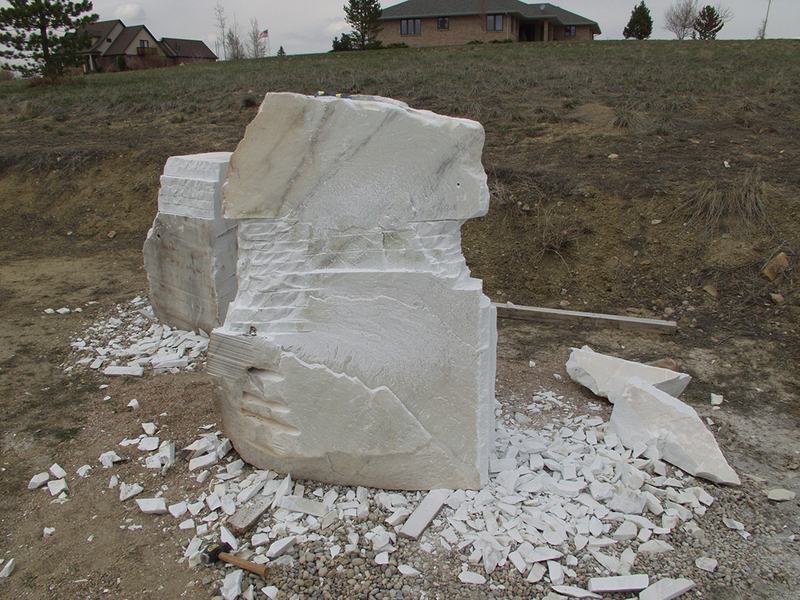 It stands about 4-1/2 feet high and the two pieces weigh around three tons. 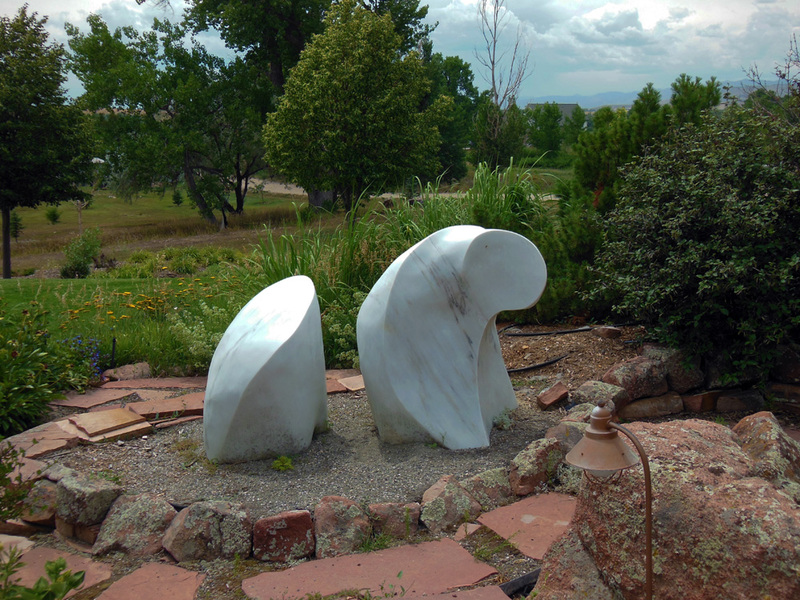 It was commissioned by Tom Lawlor of Longmont, Colorado, and is installed in his garden. 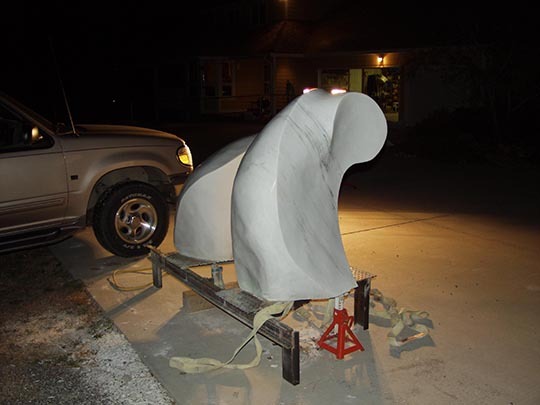 It is the second of three stone carvings I have done, and was styled to be reminiscent of the work of Henry Moore – one of my favorite artists, and someone I was lucky enough to meet in the spring of 1976 while I was a student at the Kansas City Art Institute. 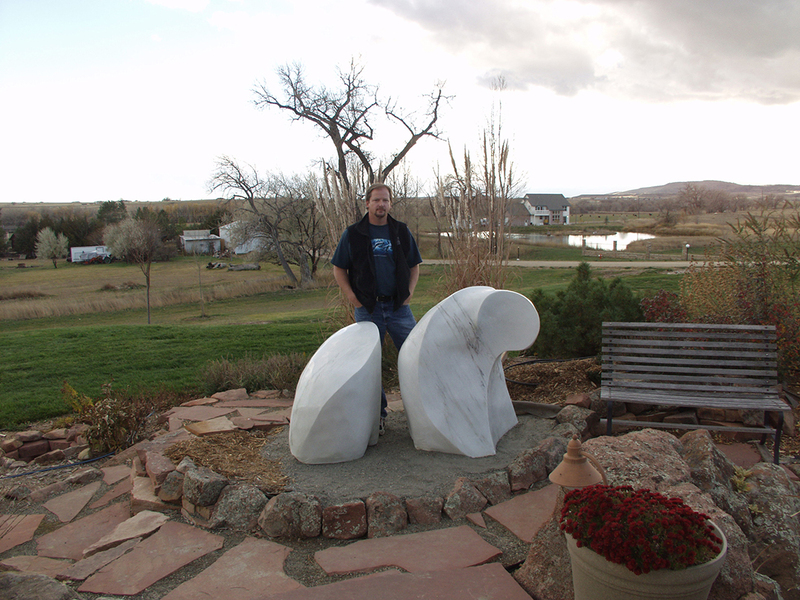 The guy above is Tom, who commissioned, and payed for, the sculpture. 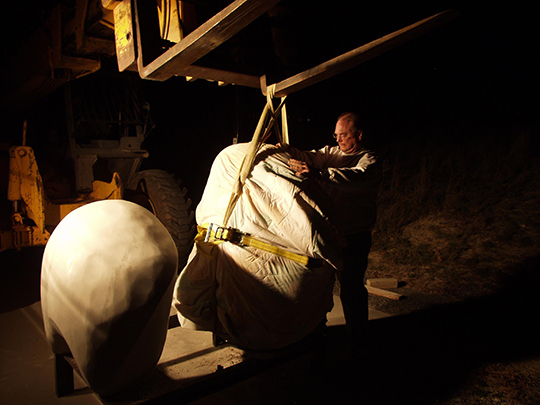 Thank you Tom.